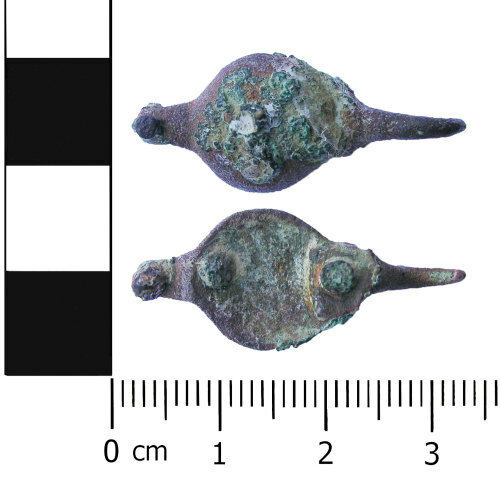 One part of a two part copper alloy sword belt fitting dating from the post-medieval period, that is c. AD1500-1700. The surviving fitting is composed of the main body and flat backplate which was riveted to the main body. The main body is oval in shape and domed with a small hook on one side. the complete fitting would have comprised the hooked fitting and an open trefoil attachment within the hook. The fitting has an integral rivet and a separate iron attachment rivet. See Read no.816.